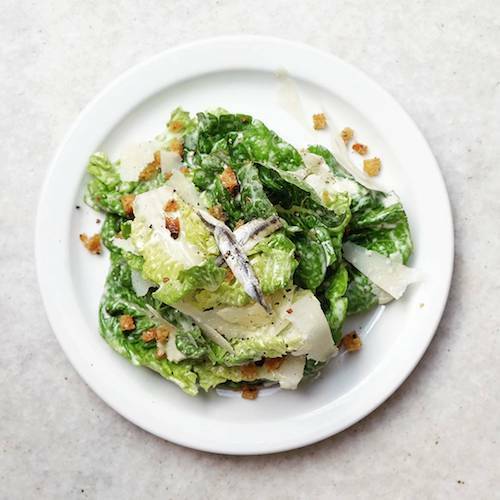 10 salads you'll actually be excited to order. 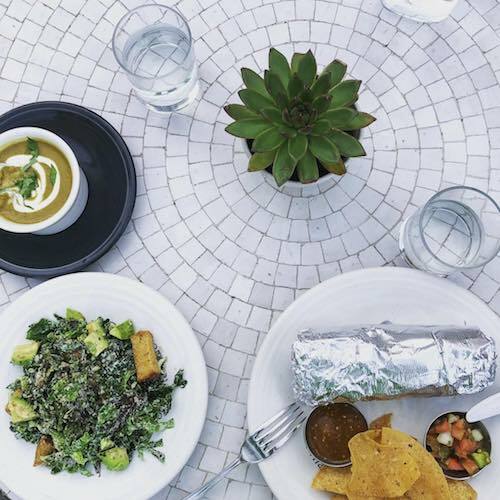 As Katy Perry (basically) once said: “Kaleifornia girls, they’re unforgettable.” (Sorry, we had to.) And we agree wholeheartedly, especially when they’re killing it like cookbook author Carina Wolff. You may know her better as @kalememaybe on Instagram, where she shares food to feed your body and soul with her 51k followers. 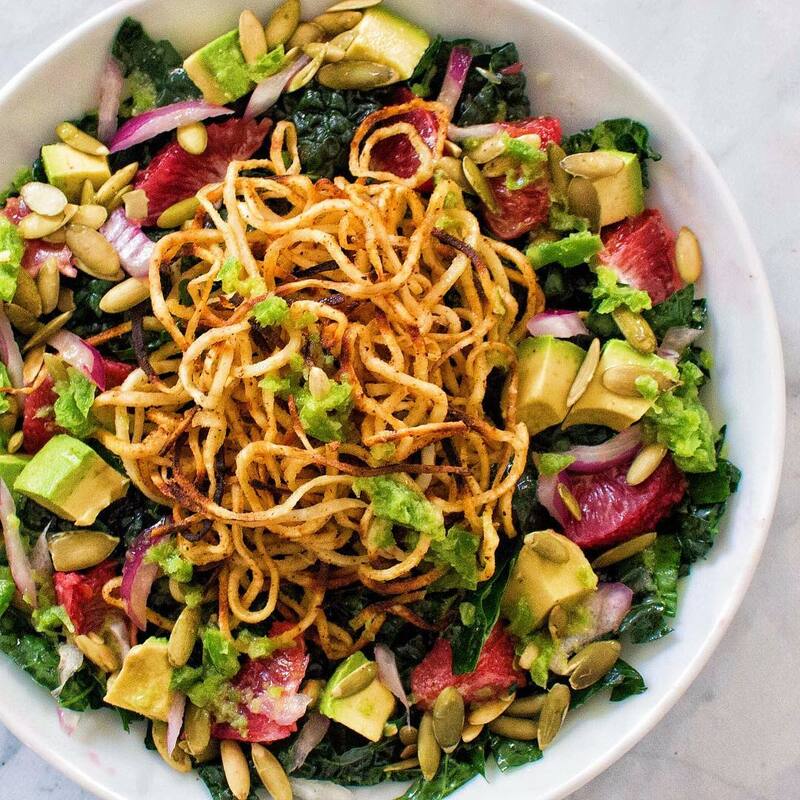 Her recipes are based around clean, organic and sustainable ingredients that she transforms into craveable dishes like spiralized potato crust pizza — one of her personal favorites. It’s gluten-free. It’s vegan. And how can you go wrong with potato-based anything? But Carina is more than just an Instagram success story. 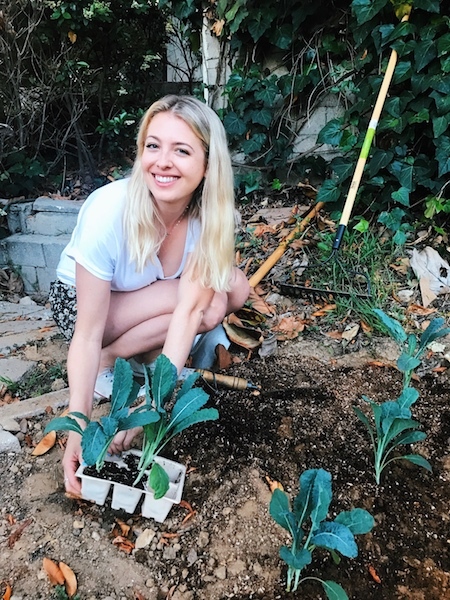 As the author of The Spiralizer Recipe Book and Plant-Protein Recipes That You’ll Love, Carina has fulfilled her childhood dream of becoming a published author. 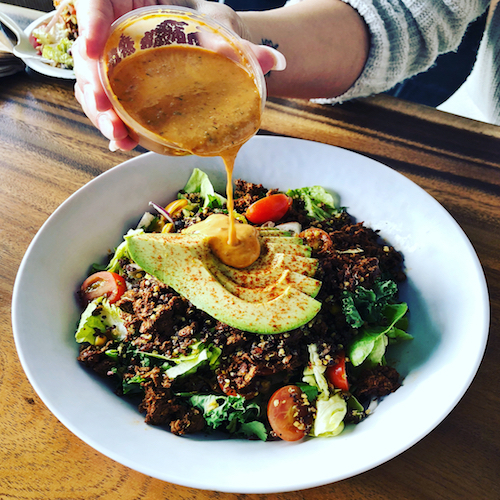 Sharing knowledge has always been the mission behind Kale Me Maybe, and Carina is cooking up more of that in 2018 with the Kale Me Maybe meal plan. 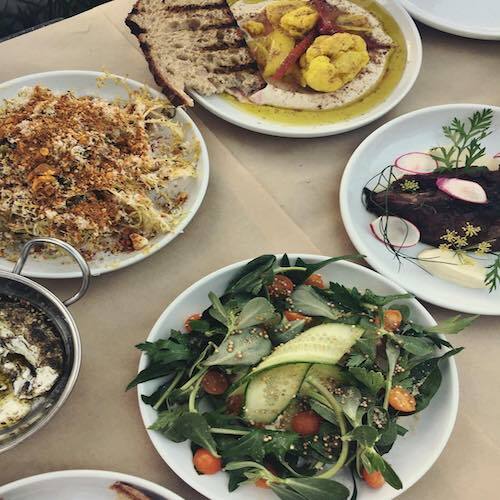 Carina Wolff: Gjelina is my all-time favorite restaurant in LA. Anytime someone visits me from out of town — especially if they’re a foodie — I take them here. Everything is fresh, unique, and so tasty. You really can’t go wrong. 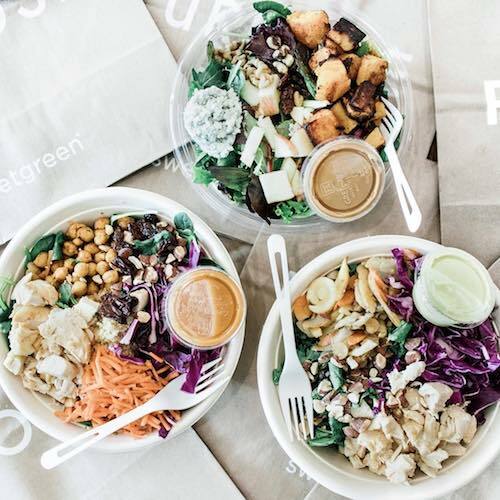 CW: I’m not usually one to eat at chains or go for “quick” food, but I love what sweetgreen has to offer. They have their own salads they put together, but you can also make your own, which is what I usually do. I love how their business operates. They source from local farms, and they make everything from scratch, including their hot sauce. They also don’t use sweetener in anything, and this is the type of food ethos I can get with! 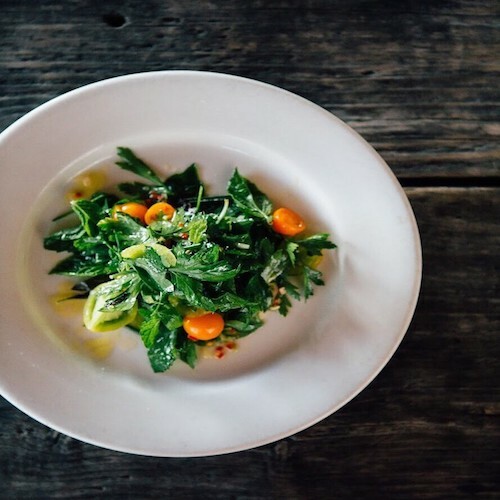 CW: If you haven’t had the kale salad from True Food Kitchen, you’ve never had a proper kale salad. I tell all kale haters to start here. 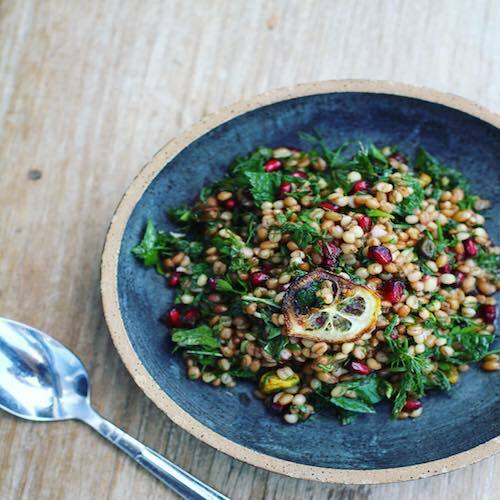 Their kale salad is truly next level, and I try to replicate it at home all the time. It's soft, lemony, and very addicting. CW: I’m a beach bum and nature lover and live 10 blocks from the ocean, so it’s no surprise I’m a fan of this Santa Monica restaurant. I love all the ingredients Flower Child uses in their salads, and the space is really cute and bright. It's a modern hippie's paradise. CW: Malibu Farm is another spot where I take out-of-towners. I grew up right by Malibu, and that’s where we used to always go to the beach when I was younger. 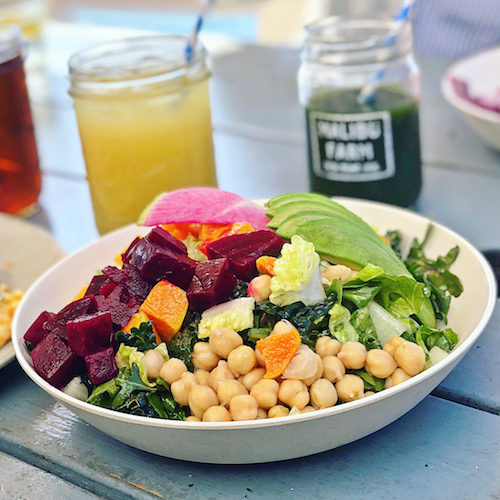 Malibu Farm is located on the pier, so you get to enjoy health and fresh food while you’re sitting out in the middle of the ocean. It’s gorgeous, and the food is fresh and light. They have a cafe that’s more casual to eat at during the day, and a beautiful sit-down restaurant to eat at at night. I love to go during sunset. 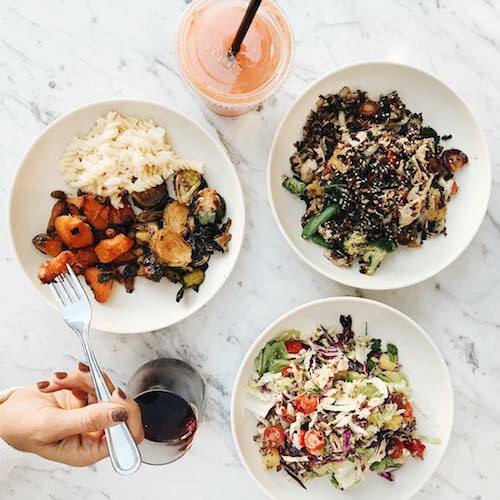 CW: Of course, the plant-based lover in me loves Cafe Gratitude. 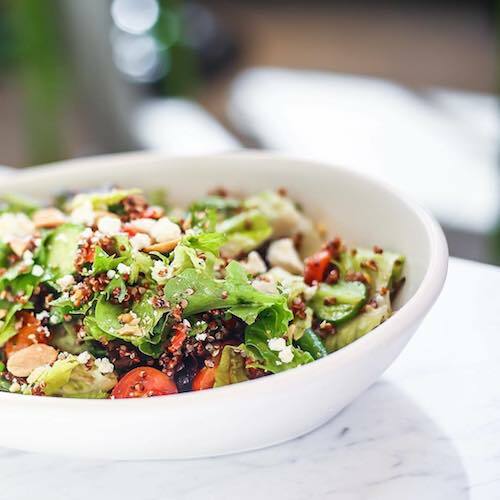 I always feel kind of corny ordering off the menu by saying “I am Inspirational,” but they have a wonderful assortment of vegan salads and other wonderful plant-based goodies. In addition to salad, I recommend their Lavender Charcoal Latte. Super bougie, I know, but very tasty. It's part of the Cafe Gratitude vibe. You just have to go in there and make fun of yourself for feeling very LA. CW: Gjusta is Gjelina’s sister restaurant, and it’s more like an upscale deli/bakery. They have a rotating display of salads, and I’m always in awe of the combinations they come up with. Definitely a go-to for brunch on a sunny day. Sometimes I like to take my food to-go and enjoy it on the beach. CW: This is another chain that I’m totally on-board with. I believe they also source locally like Sweetgreen. I don’t eat chicken very often, but I die over their Sophisticated Chicken and Prosciutto Salad. CW: Although I am a total Westsider, I also really love the Eastside. Botanica in Silver Lake is right up my alley. Any place that can get creative with vegetables has my stamp of approval. CW: Another Eastside destination, Mh Zh is inconspicuous and easy to miss if you don’t know it’s there, but it’s cheap and very high quality. My grandpa is from Israel, so I’ve always enjoyed Middle Eastern food.